There’s nothing better than starting your day off with a filling breakfast. 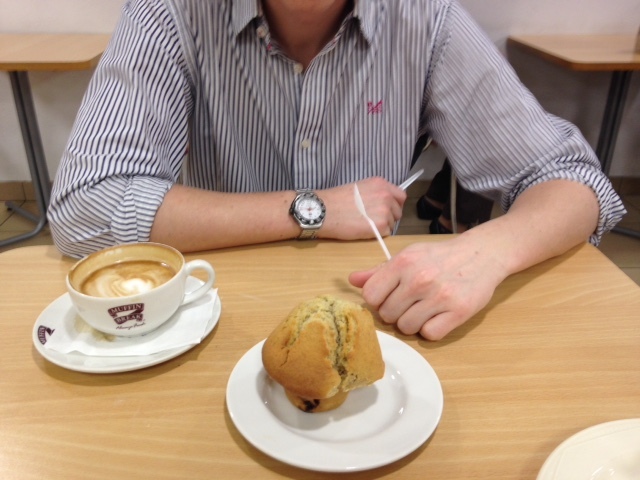 So when myself and the boy were invited to try out what Muffin Break have in store, we were thrilled. 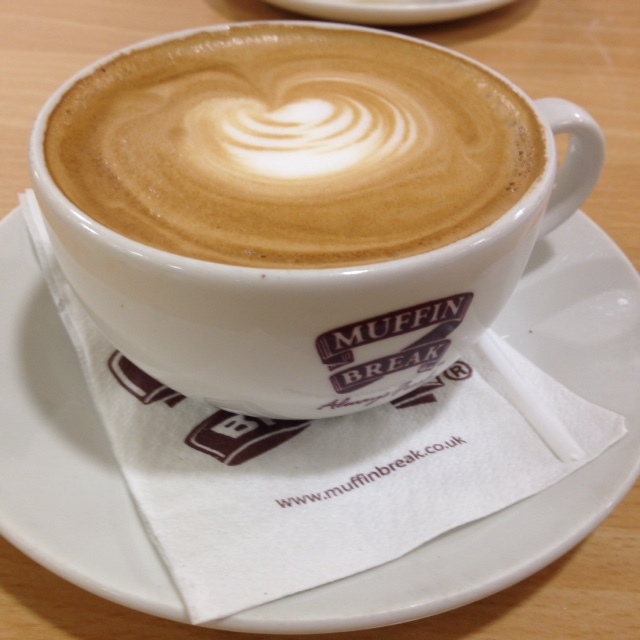 My nearest Muffin Break is based in Archway’s Whittingdon hospital but they are based all over the UK, with 58 branches in total. Find yours here. I generally enjoy going for something out of the ordinary and perhaps something I wouldn’t necessarily choose. 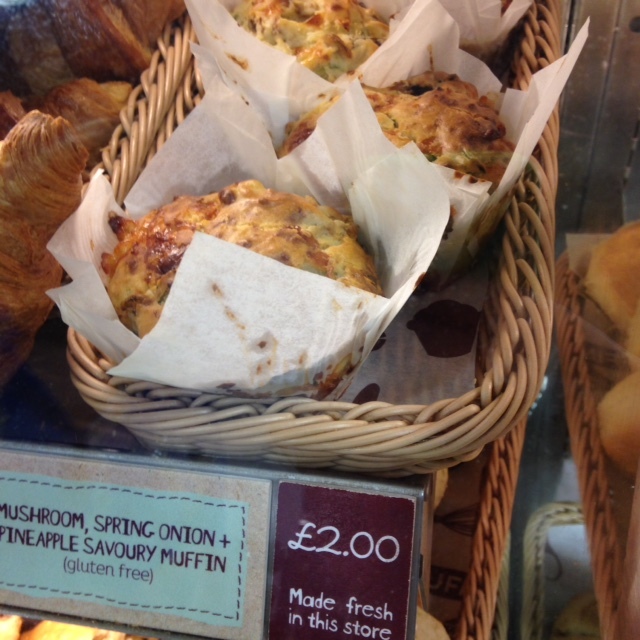 Therefore, I decided to give the only savoury muffin on the menu a go; Mushroom, Cheese and Onion Muffin. In light of this, as you can imagine I was pretty disappointed that the boy went for the oh so safe and typically traditional ‘Blueberry Muffin’. 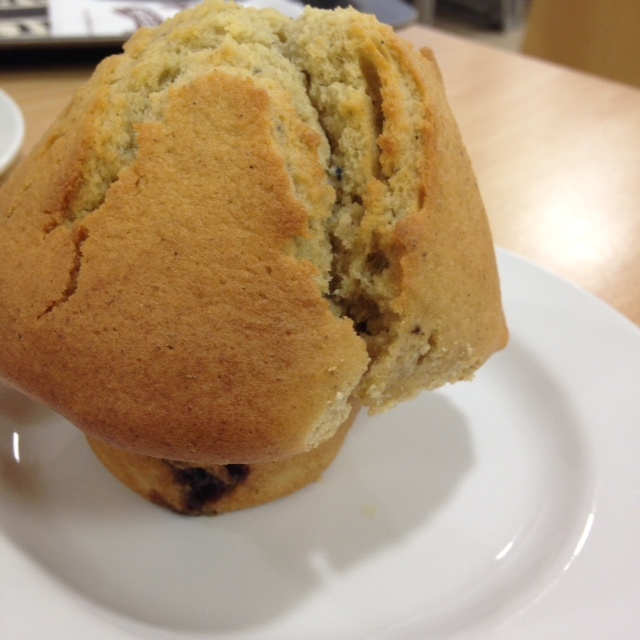 It’s great to see that Muffin Break readily caters for food intolerances by offering gluten free alternatives. 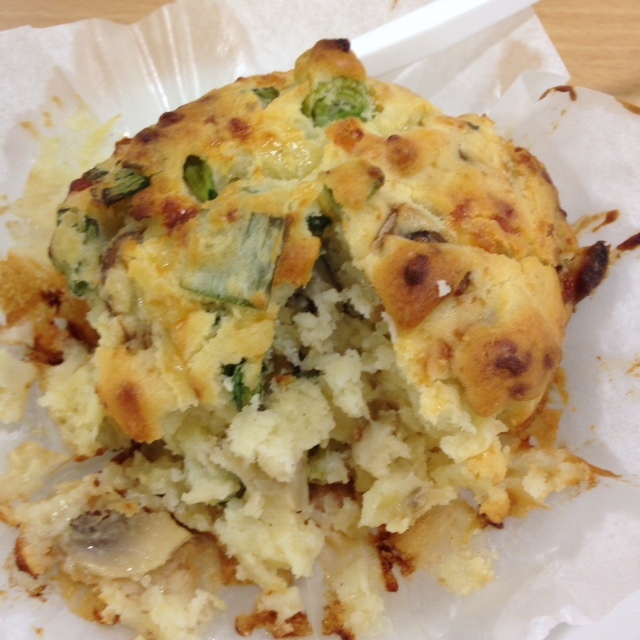 My savoury muffin was gluten free and I have to say, I was pretty impressed. Chunks of leek, mushroom and pineapple were dotted through and the sponge was pretty tasty – the odd combination did work, however the taste got a little monotonous over time. 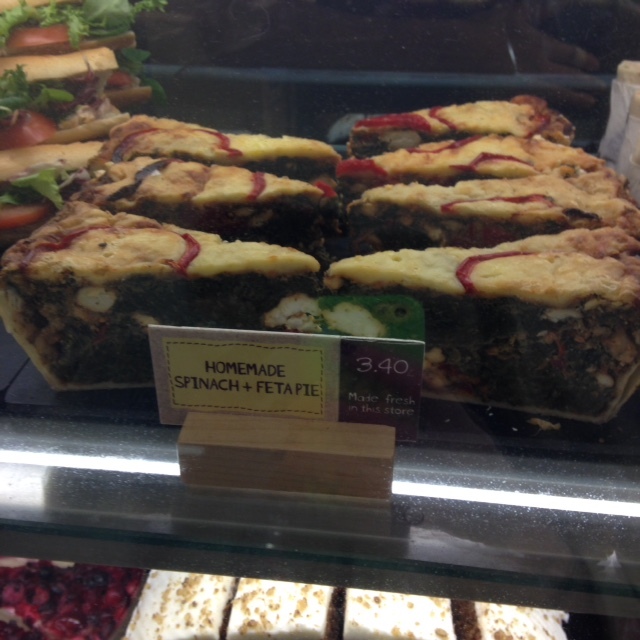 I wouldn’t have guessed it was gluten free – good job! Spot the blueberry (!) – we were pretty disappointed with this one. A tasty sponge but far too little fruit for us. 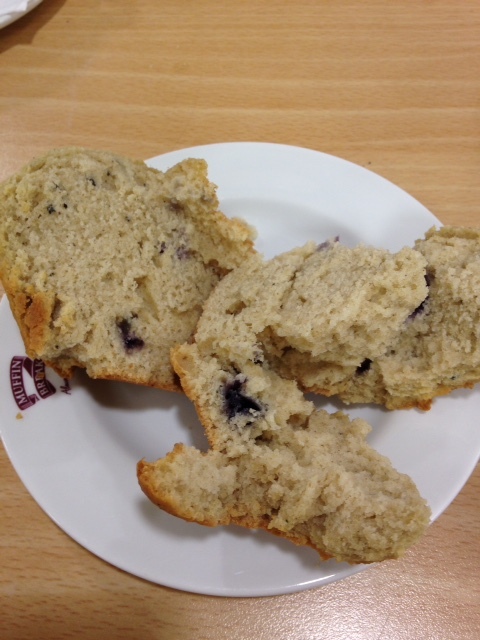 More blueberry in our muffins please! Why not stop by if you fancy a cheeky nibble or pick up some snacks for a picnic in the sunshine? Posted in food, restaurantsTagged Cafe, cake, coffee, London, muffin, north london, restaurant, review, where to eatBookmark the permalink.